The Minnesota Department of Agriculture will soon introduce tiny, stingless wasps in the Twin Cities as a biological control agent for the emerald ash borer. The same species of wasps were introduced in Houston County in the southeast corner of the state last fall. The department has run tests to make sure the wasps won't harm people or impact non-target species or the environment. 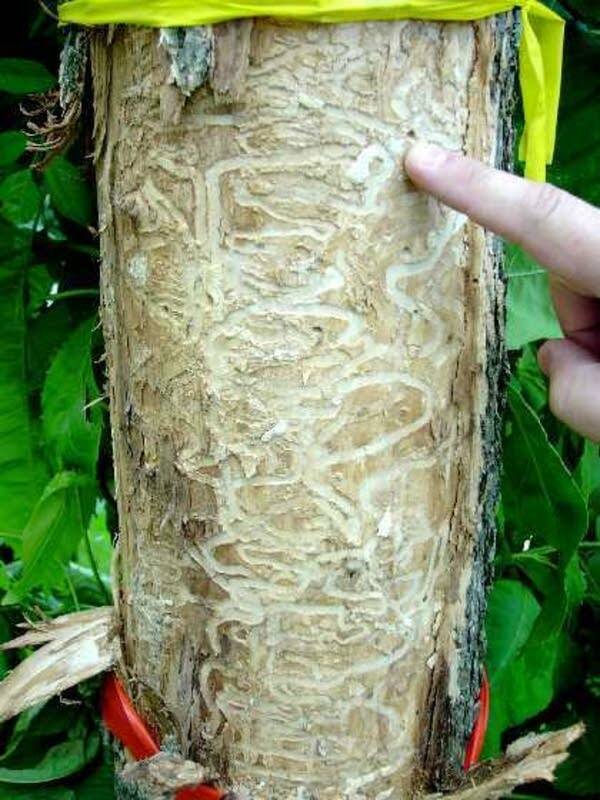 The wasps kill ash borer eggs and larvae. The five metro release sites are Langford Park in St. Paul and Tower Hill Park, two sites along East River Parkway and one site along West River Parkway in Minneapolis. The best protection against the emerald ash borer continues to be quarantines of infested areas, and vigilant citizens looking for the signs of an infestation, said Mark Abrahamson, the entomologist at the Minnesota Department of Agriculture coordinating the statewide response to the emerald ash borer. Signs of infestation include woodpeckers feeding on living ash trees or short vertical cracks and tiny holes in the bark. Minnesota has more ash trees than any other state — 998 million targets for the small green emerald ash borer. The insect lays its eggs on the bark of ash trees, and, when those eggs hatch, the larvae burrow under the bark and eat the living tissue, ultimately killing the tree. The pest has killed millions of ash trees in 15 states. Abrahamson said the department is tracking the spread from last year's outbreaks. "I think the biggest reason it hasn't progressed much is that it hasn't had a chance," said Abrahamson. Metro-area cities have removed 400 infested trees since last year, and state and county programs have placed quarantines on infected areas restricting moving downed and infected wood. Abrahamson said the two methods together have been effective but cautioned that the signs of an infestation can take a few years to show, so the true extent of the outbreak may not be known for some time. "I don't think we'll ever quite catch up to it, but I do think that we're probably stopping a lot of those jumps by finding these trees," he said. 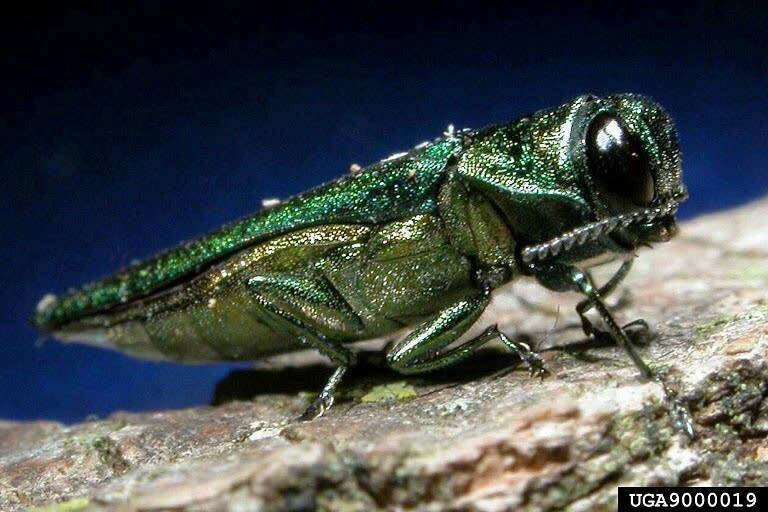 The first emerald ash borer-infected tree was found almost precisely two years ago in St Paul, around the area of Highway 280 and University Avenue. Abrahamson said since then infested trees have also been found in Houston County. But most affected trees have been discovered within a one-mile radius of that original spot in St. Paul. "There was one tree on the St. Paul University of Minnesota campus; that's as far north we've seen," Abrahamson said. "There've been trees to the south — as far south of the river in Minneapolis. And we've seen some infested trees on both sides of the river now." This winter, officials found a few infested trees in the Mississippi River gorge. Abrahamson said they're still figuring out how to deal with the situation. "There are trees that are not going to be able to be removed because they're on steep slopes or otherwise inaccessible areas. And that's just going to have to be what it is," he said. "The fact of the matter is the emerald ash borer is here to stay."